You are here: Home / Uncategorized / What should we teach children about bicycle safety? 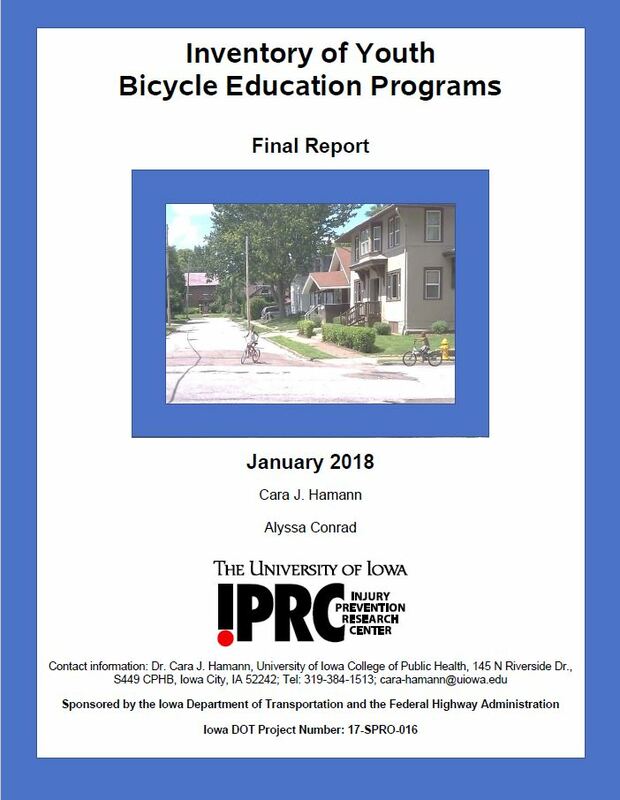 A new UI IPRC report helps us understand for the first time how bicycle safety is being taught in the U.S. in a climate where there are no gold standards for bicycle education programs. The report creates an inventory of child bicycle education curricula so that educators can look for best practices and age-appropriate lessons to teach children bicycle safety. 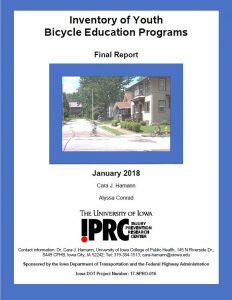 Cara Hamann, UI IPRC faculty and lead author of the report, studied 96 youth bicycle education programs across the country through web and database surveys and an online survey. She said children often receive very little or inconsistent instruction from parents and teachers about bicycle safety. “For example, some school-based programs instruct children to only ride on sidewalks or bicycle paths, while others teach children to ride in the road, without any consideration for age appropriateness,” Hamann said. See our infographic: Bicycle safety: What should we teach children? Hamann’s study found that the majority of bicycle education programs (59%) are not age-specific despite the fact that children of different ages have varied levels of things like coordination, balance and endurance. She said all school-aged children have slower reaction times, slower problem-solving abilities and slower response to emergency situations than adults. Youth bicycling in the U.S. has been slowly increasing in recent years due in part to the Safe Routes to School movement which encourages bicycling for the physical and environmental benefits it brings. Still, each year among children 10 years or younger, there are over 270,000 emergency department visits, 8,000 hospitalizations, and 100 deaths in the country. Bicycling is also the most common cause of sport-related traumatic brain injury. Hamann said reaction times and problem-solving increase with age; however, children ages 12- 18 have decreased emotional control and increased risk-taking. “What this means is that bicycle education programs for teens should stress avoidance of and consequences of risk-taking,” Hamann said. The report also found that most bicycle education programs are school-based (66%), provide equipment (59%) and include knowledge-based tests (60%) and hands-on training (80%). Less accommodate special needs children (32%) and meet education requirements (36%). 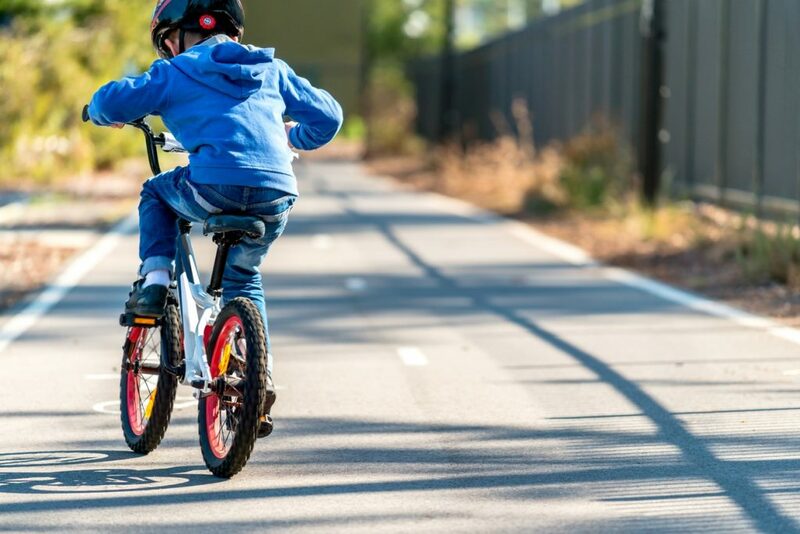 According to the report, all children should learn the benefits of bicycling, the importance and proper fit of helmets and visibility, proper starting technique, and how to ride on multi-use paths. Children should also practice bicycling skills through on-bike games and learn bicycle maintenance and fit, where to ride, and traffic safety laws/rules. This project was sponsored by the Iowa Department of Transportation (IDOT) and the Federal Highway Administration. See article: How Iowa is impacting the safety of cyclists. Read about our technology to study bicycle safety: Integrating technology into injury research. Read an interview with Dr. Cara Hamann: Public health researcher and avid cyclist studies and advocates for improved bicycle safety.